If you’d like to host me as a speaker to teach a dog training seminar in your area, your first step is to find the topic and length that interests you and check whether your venue is appropriate. Contact me (Grisha) for availability and fees info for hosting a seminar in your area and to get started on picking dates, etc. To help make the decision whether to host, you should check on prices for venues, sound equipment, etc. Seminar locations should ideally be close to an airport or train station (but not so close that it's noisy) so that more people can attend. All presentations require a projector screen, a bright, high-quality projector for the speaker’s laptop, a wireless microphone, and way to connect her laptop to your sound system. The presenter must have access to her computer during the seminar. For audiences with over 50 people, there should be a way for everyone to see the demonstration, like a live feed video camera and/or a stage. The room must be able to be darkened to show the videos well. Intro seminars: These seminars can be done in almost any space with enough room for some hands-on role playing sessions with all of the participants up and moving at the same time. This portion can be done outdoors or indoors. A demonstration of leash skills with one well-socialized dog is optional and not 100% necessary. These seminars are usually up to 100 people but can be more or less based on your venue and the number of people nearby who can help the speaker coach the hands-on part. CBATIs (Certified BAT Instructors) may be asked to assist or observe the session and must be allowed to attend at no charge. That said, if meals or other items that will cost you money are included in the price for attendees, this need not be free for the CBATIs. Expect to need 1-3 other helpers to assist with check-in, sales table, setting out snacks, etc. Up to 3 helpers may attend for free. Advanced Seminar: This seminar requires a very large, interesting space to work with dogs. All attending dogs should be fine around people and dogs. This work is usually done outside, although if you have a really large indoor space, that might work too. You will need 1-2 additional helpers to assist you during the seminar, including a Dog Steward who oversees the wellbeing and movement of the dogs. Up to 2 helpers may attend for free (without dogs). 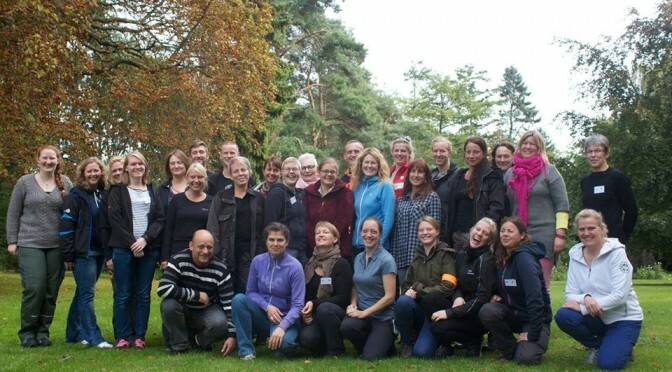 We hosted the first UK BAT seminar with Grisha. It was brilliant, in every way. The talks were really engaging and interesting and the practical sessions were great fun. The feedback from everyone involved was overwhelmingly positive, and I truly believe every person who attended greatly benefited from their two days learning about BAT. Grisha is a great teacher and speaker, and makes BAT accessible and easy to understand for everyone, whether you are canine professional or simply a dog owner. She explains the concepts clearly and logically, and engages with everyone throughout her talks, captivating her audience. Her presentation materials and handouts were excellent, well compiled and backed up by science, while simple to follow. She also uses a lot of video footage to demonstrate various set-ups, which kept everyone interested and wanting to see more. Grisha is very calm and endlessly patient, and was fantastic with the dogs and owners featured in our demonstrations, as well as with our volunteers. She can also multi-task, handling several groups simultaneously, which was very impressive. In all, it made for a very interactive and enjoyable seminar and we were all able to see that BAT really works! Post-seminar, all the dog owners involved in the demos reported an improvement in their respective dogs, and all the canine professionals who attended could not wait to go home to practice. We are eternally grateful Grisha came to the UK to show us how and why BAT works. She is great and we look forward to organising more seminars with her! I found working with Grisha as a seminar host very rewarding. Grisha provided us with ample marketing and advertising material well in advance of the seminar. Grisha is personable and professional in all her communications during the seminar preparations and of course once she arrived in Idaho she was quite pleasant to work with. Grisha made our jobs as hosts a pleasurable experience. She took the time to learn about our local trainers and continues to support our efforts to help dogs become more comfortable in their environment. 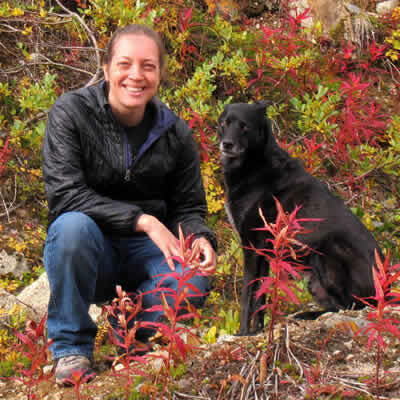 Grisha easily navigates a wide range of technical data and is able to skillfully share her skills and knowledge to a variety of people ranging from Applied Animal Behaviorist, Veterinarians, canine professionals and common dog owners. 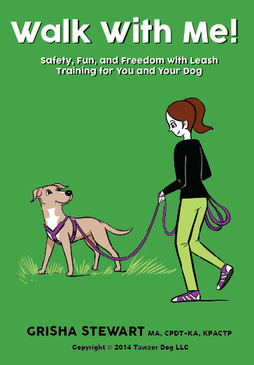 Grisha has supporting literature and video clips available on her website making her a valuable resource for dog owners and canine professionals. The seminar we hosted with Grisha was a complete success. I personally appreciate her attention to detail and her ability to speak clearly and with purpose. One of the seminar participants told me that the thing they liked most about Grisha was her ability to work with a dog and handler team with kindness and respect. Grisha was a pleasure to host. Working aggressive dogs is always stressful Her BAT method took that stress away. This is the first aggressive dog seminar I have been a part of where all the dogs stayed under threshold and there was no barking. I was impressed. Dogs stayed calm and showed significant progress after only a few sessions. BAT is something I will definately be using. I feel it is a protocol that is easily transferred over to the owner. I really like the fact that the option to escape is not taken away from the dog. I highly recommend it. Anyone mulling over the idea of hosting a seminar with Grisha Stewart should stop thinking about it and get in touch today! From timely emails, to clear seminar support materials, Grisha stayed in close contact throughout the planning stages and was simply a joy to work with. She not only provided helpful hints and tips on how to successfully market our event, but also sent templates for posters, and emailed a handy check list which covered all those “little things” so easily forgotten when organising a large seminar. The seminar itself was a huge success with many delegates going out of their way to provide positive feedback. Some praised Grisha’s “relaxed but professional presentation style”, others remarked upon her “rare ability to make a complex topic easily accessible”, and even more have now “embraced the spirit of BAT”, and “felt a renewed inspiration” after attending. Grisha’s clever use of video clips during the presentation kept everyone’s interest, while the live demonstration made converts out of even the most skeptical with one delegate remarking “I would never have believed it if I hadn’t seen it with my own eyes – SOLD”. We truly enjoyed Grisha’s stay in Haslemere. Nothing was too much trouble, and not a “Diva Strop” in sight! We spent a lovely few days together, and feel that we have not only gained a professional colleague, but also made a new friend. So what are you waiting for? Contact Grisha today and get the BAT ball rolling in your neighbourhood!